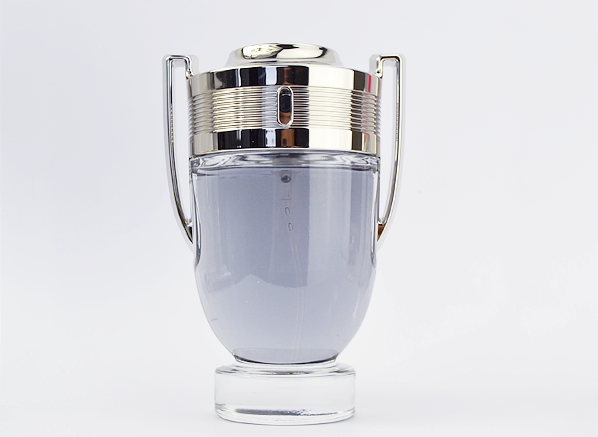 I can imagine that the task of creating a perfume to follow-up the success of Paco Rabanne’s 1 million was a most unenviable one. After all 1 Million is one of the most popular masculine fragrances on the market – and no matter whether one is a fan or not it cannot be denied that 1 Million definitely a tough act to follow. It seems that the brand’s solution is to create something on the opposite end of the fragrant spectrum from 1 Million’s warm amber and apple pie, and that’s exactly what they’ve done with their brand new masculine launch – the new hero fragrance ‘Invictus’. 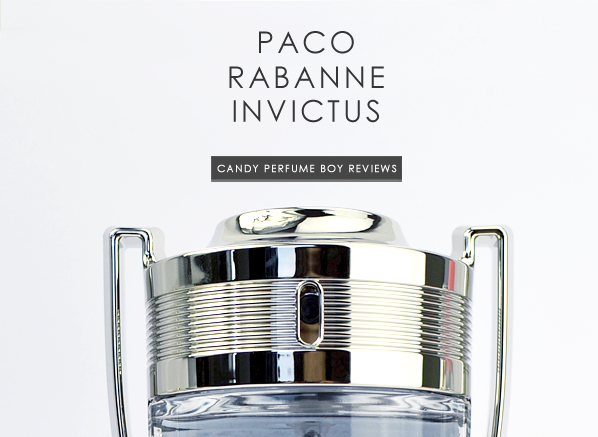 Housed in a bottle shaped like a trophy and fronted by Australian Rugby League Player Nick Youngquest, Paco Rabanne Invictus is a fragrance that speaks of champions, victory and almost mythical sporting achievements fought for in vast arenas where sportsmen are viewed as rock stars – gods and gladiators of the stadia. Sport based fragrances are tricky and have a tendency to focus on ozonic notes that conjure up intense freshness and bracingly clean sensibilities. These all sound good on paper but in reality they tend to err on the side of safeness so much that they come across as dull. Invictus however, is an entirely different beast altogether, and whilst it may not be considered as ‘unusual’ it definitely has a few unique touches that set it apart from the pack. Invictus opens bracing and fresh, yes, however this zingy quality is attributed to an accord of grapefruit, spice and metal. The metallic tones bring an unusual piquancy to the citrus and spice, creating an intensely invigorating effect akin to taking a lap of victory. The exhilarating start quickly subsides in to a heart of warm herbs and patchouli. In the base things get even warmer with salty ambergris, spiky woods and a touch of amber. Hints of metal and grapefruit continue throughout and ensure that even at its very warmest Invictus is still lively and ready to play. Invictus aims to be as iconic as 1 Million yet it comes with only a portion of its arrogance – it is much more quietly confident and self-assured. 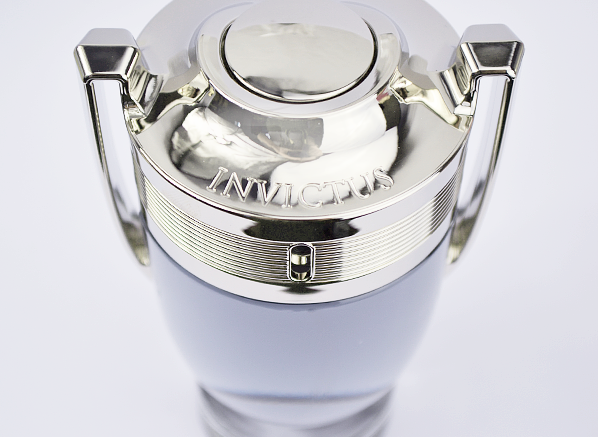 As far as sports fragrances go Invictus is a refreshing change with a surprising level of versatility meaning that it is suitable for wear both on and off the pitch. This entry was posted on Monday, July 29th, 2013 at 10:06 am and is filed under Candy Perfume Boy, Fragrance, Guest bloggers, Men, New products, Tried & Tested. You can follow any responses to this entry through the RSS 2.0 feed. You can skip to the end and leave a response. Pinging is currently not allowed. do you recommend buy it?